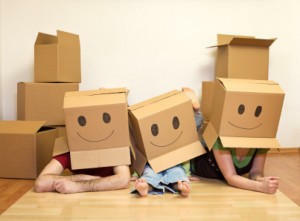 Man and van hire is a popular service that we offer here at House Removals London. Not everyone chooses to move during their life, but a high number of people find themselves needing a van for at least a few hours in a day at some point. Van hire can save you money on expensive removals if you don’t have a lot of items to move and can be used for many other tasks too. Hiring a van can be a great inexpensive way to transport large items, a big amount of products, or even to save you time and money on expensive delivery costs at furniture stores. So, perhaps you wouldn’t consider buying a van for yourself, but is amazing at how many times you may find yourself in a position where a van would be useful. If you are hiring out a venue for a party or conference and have to take a lot of things along with you, then hiring a van and doing just one trip will save you time and money on fuel if you were to do several trips back and forth in your own vehicle. In case we forgot to add – our van hire services even come with a driver too. Don’t risk driving an unfamiliar vehicle around London, when you have little or no experience in such matters, leave it to the experts. Our drivers are used to driving vans and are familiar with the blind spots and style in which comes with driving a van. It can be very dangerous to both you and to other drivers if you choose to drive a van in a busy city such as London, having no experience in driving larger vehicles with no back windows. Our man in van packages are professional and affordable, so leave the driving to someone else, whilst you carry on with something else. No matter where you are and where you need to be in London, we will do our best to get to you in the shortest amount of time possible, after you have arranged a date and time to use our van hire services. Our men in the vans are well clued up with the signs, lines and streets of London, so they won’t waste time getting lost. Our vans our clean, tidy and kept up to date with taxes and documentation. Each vehicle is new and comfortable, to keep our driver happy and our good reputation. Whatever you need to transport, you can feel assured that it will be in safe hands and transported in a clean and reliable vehicle. There will be someone there to help you load and unload the van at either end of the journey and we will only leave the site once we know that our work is done to the best standard possible. When you need a vehicle that is bigger than your domestic vehicle it is often more convenient for you to simply transport whatever it is that needs to be moved, in one trip with the help of hiring a van, rather than attempting doing several trips in your own car. When you have little time to spare, do you really want to tackle doing numerous trips within London when you can make everything easy just by hiring a van? Save yourself time, patience, stress and money and take advantage of our low prices van hire services, just call House Removals London on 020 8746 4392 today and we will give you a free quote.